The Norwegian will quit as Celtic manager at the end of the season. Ronny Deila's Celtic career will come to end when the 2015/16 season draws to a close after he announced his resignation on Wednesday morning. 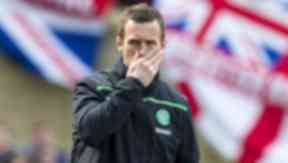 The Norwegian will have spent two seasons in charge of the Parkhead side. He already has one Premiership title under his belt along with the League Cup. He's looking to bow out with another league title in the bag, which would secure five-in-a-row for Celtic. Here we look back on the highs and lows of Deila's time at Celtic and the moments that defined his rocky time at the helm. 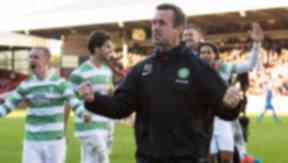 Ronny Deila was appointed manager of Celtic on June 6, 2014 shortly after guiding Stromsgodset to the Tippeligaen title. The Norwegian took over from Neil Lennon on a 12-month rolling contract and said he would "treasure the opportunity". He came in with a game plan to deliver attacking, exciting and entertaining football. John Collins soon joined him as assistant manager with John Kennedy being named as a first-team coach. Celtic looked to have been convincingly beaten in the third qualifying round of the Champions League, losing 4-1 and 2-0 (6-1 on aggregate) to Legia Warsaw. It was soon discovered the Polish side had fielded an ineligible player late in their second-leg victory however, and were punished by UEFA awarding Celtic with a 3-0 win. That brought the aggregate score to 4-4 and sent Celtic through to the play-offs on away goals, giving Deila a second chance at qualification. With the nature of Scottish football, Deila had already taken charge of four games before taking on a domestic fixture. With four European clashes out of the way, Celtic travelled to Perth for the first Premiership game of their season on a Wednesday evening. 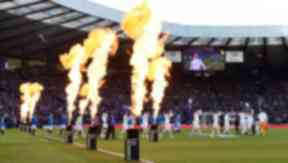 Their weekend match with Partick Thistle had been postponed because Parkhead was not yet ready following the 2014 Commonwealth Games. Celtic won 3-0 but the most memorable moment came when Derk Boerrigter dived to win a penalty midway through the second half. Despite being handed a second chance of qualification to the Champions League group stages though, Celtic were still unable to achieve it. After drawing 1-1 away with Maribor, the Parkhead side lost 1-0 at home and instead booked their place in the Europa League. Many called it a blessing in disguise, saying it would give the new manager time to settle at the club and impose his own look on the squad. It was still European football for Deila but for a club that had played in the Champions League group stages the previous two campaigns, it was a bad start for the Norwegian. Celtic didn't take their place at the top of the Premiership table until three months into the 2014/15 campaign. Dundee United, Hamilton Accies and Inverness Caley Thistle had battled it out at the top but that ended on November 9. After having Scott Brown sent off in their 2-1 win at Pittodrie, a 90th minute Virgil van Dijk goal saw them leapfrog into pole position where they stayed until New Year's Day. The celebrations also saw the first 'Ronny Roar' as Deila expressed his delight in front of the travelling support at full-time. Just hours before a dramatic close to the winter transfer window, where Celtic snapped up Dundee United stars Gary Mackay-Steven and Stuart Armstrong, they took on Rangers at Hampden in the League Cup semi-final. It was the return of the Old Firm derby but the 2-0 win was little more than what was expected from Deila as it was widely accepted Rangers were still not ready to compete with Celtic. Anything less than progression to final would have seen Deila come under even more pressure just eight months into the job. Next up on the big stage was a Europa League double header against Inter Milan in the knock-out stages of the competition. Deila's side showed flashes of brilliance and signs of real progression in the home tie as they drew 3-3 but went out after losing the away leg 1-0. Deila's first piece of silverware didn't just come in a season he came up against Dundee United seven times, it came midway through a run of four consecutive fixtures against the Tannadice club. A week after drawing 1-1 the sides met again, this time at the national stadium. 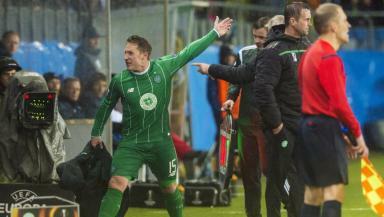 Celtic triumphed 2-0 with goals from Kris Commons and James Forrest in a fairly uneventful cup final. Jackie McNamara's side were still struggling without their star duo, who were cup tied for Celtic, and were reduced to 10 men shortly after the break. Nonetheless though, it got Deila's trophy count up and running. Ronny Deila was denied the chance to secure the treble in his first season in charge when Inverness knocked Celtic out of the Scottish Cup. Josh Meekings' handball, which went undetected at the time, caught the headlines but it wasn't the sole reason for their Hampden heartbreak. Craig Gordon was also dismissed shortly into the second half with an extra-time winner booking Caley Thistle's place in their first-ever Scottish Cup final. After beating Dundee 5-0 on the Friday night, Celtic's fate was out of their hands on the first weekend of May. Dundee United's 1-0 win at home to Aberdeen made it mathematically impossible for Derek McInnes' side to catch Celtic and they were crowned champions with an 11-point lead. It meant they weren't able to celebrate with their supporters until the following weekend though, when they ironically beat Aberdeen 1-0 at Pittodrie. Inverness were the opposition on another landmark day for Deila. Celtic beat the Highlanders 5-0 on the final day of the season but the party didn't properly start until the full-time whistle. The champions were awarded the Scottish Premiership trophy and Deila got his hands on the second piece of silverware in the sunshine. 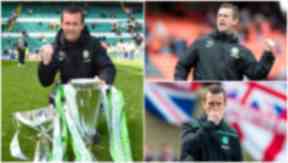 Business resumed just a matter of weeks later and it was a case of deja vu for Deila as yet again his side failed to qualify for the Champions League. Jo Inge Berget came back to haunt his former side with two goals at Parkhead but Celtic went to Sweden with a 3-2 lead. A poor performance, coupled with a Dedryck Boyata own goal, saw them sink 2-0 on the night though, and 4-3 on aggregate. It was to be another season of disappointment on the European stage for the Scottish champions as they dropped into the Europa League group stages. With Celtic struggling in the Europa League tensions were high going into the Molde away tie. They came to a head when Kris Commons was substituted 15 minutes from the end, much to the anger of both the player and the supporters. He had pulled a goal back for the visitors, who were trailing 3-1, but was hooked going into the closing stages. Commons made his feelings known and so did the fans in the away end who booed the decision. 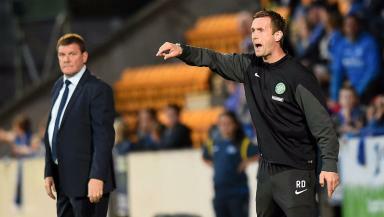 Deila pulled no punches, calling Commons' actions "unacceptable" and "disrespectful". The player later apologised for his outburst but it left lingering questions over Delia's leadership skills. With the poor European campaign coming to a close Celtic had enjoyed just two wins in five. The goalless draw with Kilmarnock was still in the back of their minds and the supporters were uneasy about some dropped points on the domestic front. Two Louis Moult goals then sunk Celtic 2-1 on their own turf, the first time they'd lost there since March 2015. Another disappointing defeat for Deila came yet again at the national stadium. It looked to be full steam ahead when Gary Mackay-Steven opened the scoring after just seconds but Celtic were reduced to 10-men 12 minutes later. Ross County turned it around with a 3-1 win and another domestic treble went up in smoke for Deila. The Norwegian said after the match he was not worried about losing his job and still had big ambitions at the club. 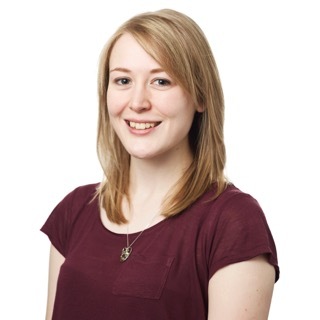 Aberdeen had spent most of the season breathing down Celtic's neck but it was the clash at the start of February that made their title challenge a realistic prospect. Leigh Griffiths struck a consolation at the death but the 2-1 win for the Dons at Pittodrie saw them move to within four points of the league leaders. Many deemed it was Celtic's title to throw away but the domestic pressure was on. Celtic's Scottish Cup semi-final defeat to Rangers at the weekend proved to be the final nail in the coffin for Deila. They dramatically crashed out 5-4 on penalties after a 2-2 draw over 120 minutes. It not only signalled Rangers' intent to challenge for the title on their return to the Premiership next season but it was a marker for how far Celtic have come in their absence. The Parkhead side's lacklustre performance angered the Celtic support and just days later Deila announced his resignation.